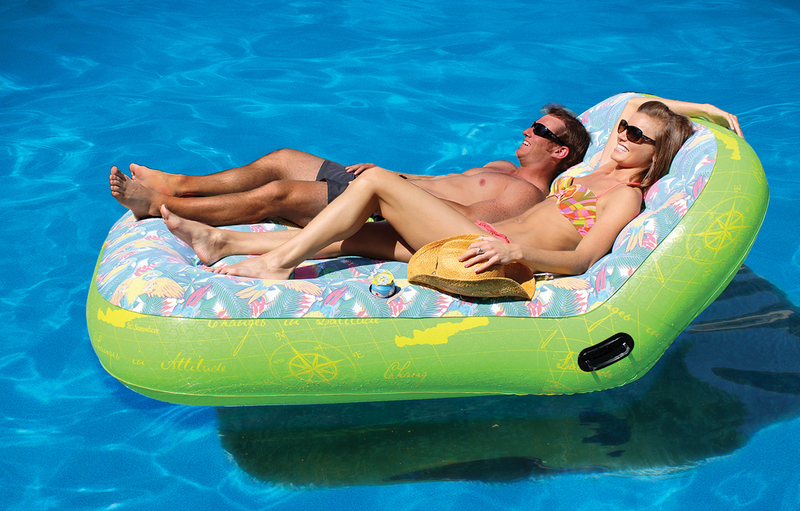 Relax in style with this broad range of our most trusted pool floats. Relax and enjoy your summers while lounging in the pool with the Swimline SunChaser Sling Style Floating Chair Pool Lounger. 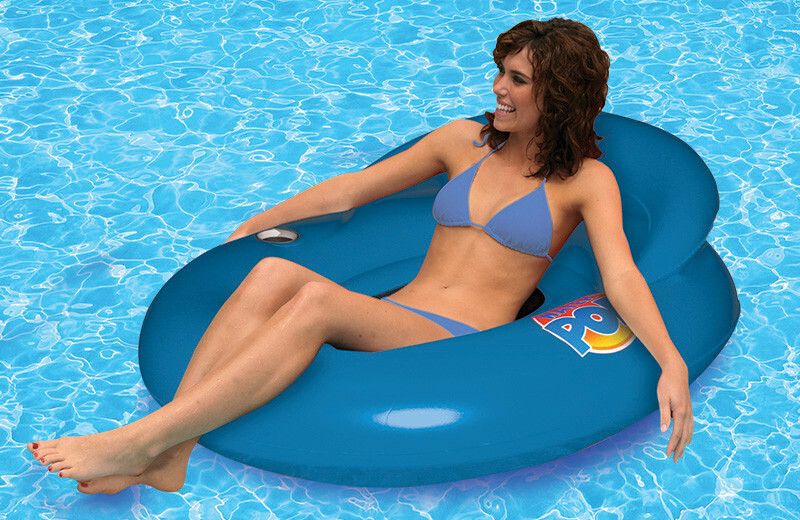 This pool lounger features a pontoon design with molded frame, which gives it unique style design. It has a combination of blue and white color that makes it look attractive. For added comfort, it features a full length padded cushion with an extra thick headrest. 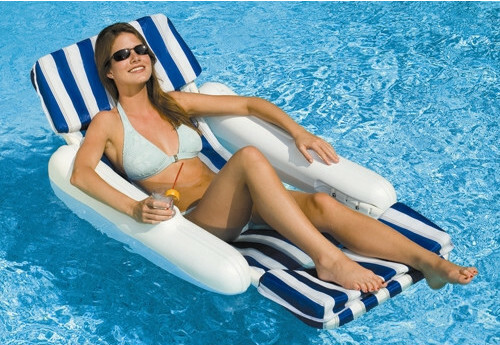 The pool lounger is great for lounging in the pool, as well as you can also use it on the beach to have a sunbath. This Swimline SunChaser Padded Floating Luxury Chair Pool Lounger is a part of the SunChaser collection. Water Pop circular lounge chair designed with bright and festive colors. Includes a center seat pocket with horseshoe backrest and a roll style pillow for comfort while lounging out in the pool. Also includes a built-in drink holder so you can enjoy a nice drink while soaking up the sun. Relax in cooling comfort with the water surrounding while lounging on the Water Hammock. Designed to position you in a semi-submerged position, you’ll stay refreshed and cool while floating your cares away. Constructed in all-weather Texteline fabric, the Water Hammock is built for season-after-season enjoyment. Just roll it up for easy storage or tote around when needed. Perfect for 2! The Dual lounger has an edge to edge comfort top (over 40 square feet!) to provide a soft, comfortable resting area. Our lounger stays cooler than PVC and will not stick to your skin. Built of heavy duty, cross-linked embossed PVC, it features an injection-molded handle and a drink holder. An edge-to-edge comfort top provides a soft, comfortable resting place. The 74″ x 29″ mattress stays cooler than PVC and will not stick to your skin. The pool mattress is made of heavy-duty, cross linked embossed PVC and includes a quick inflation valve.